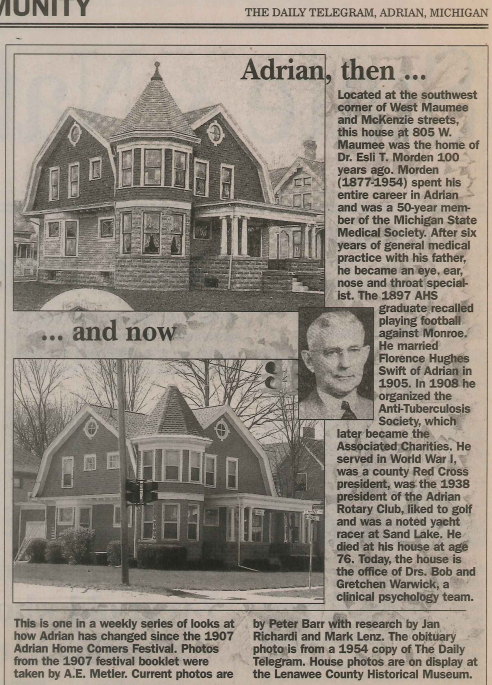 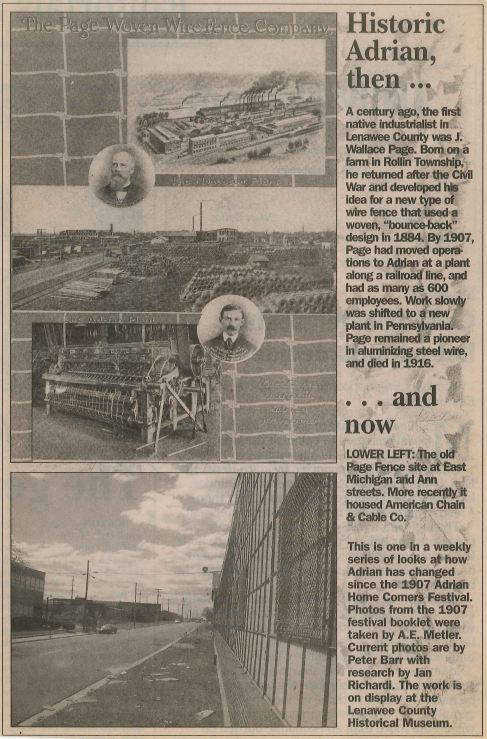 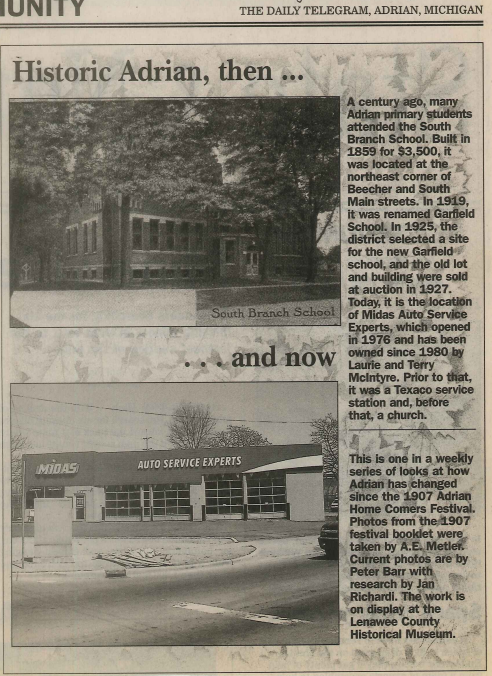 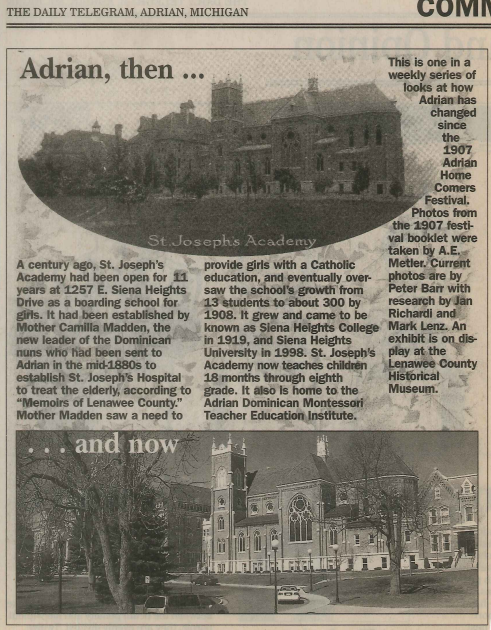 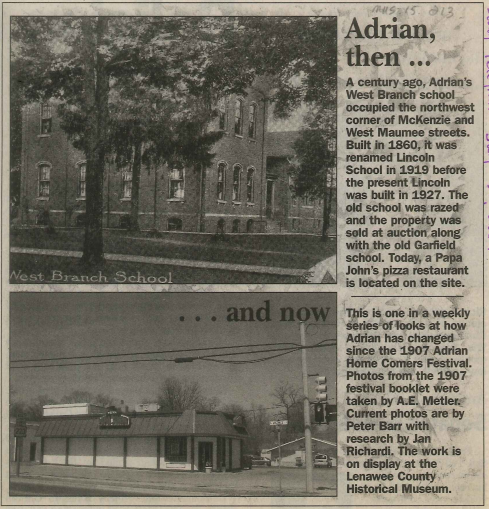 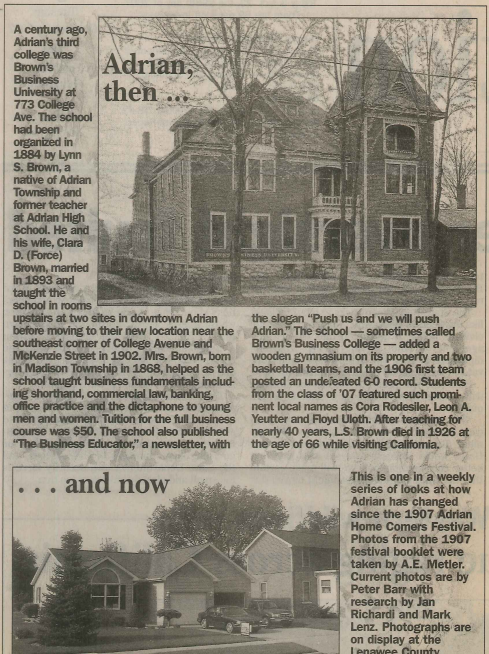 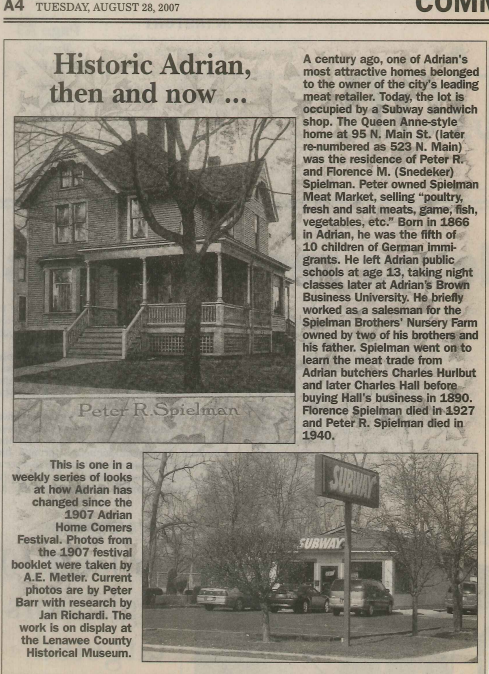 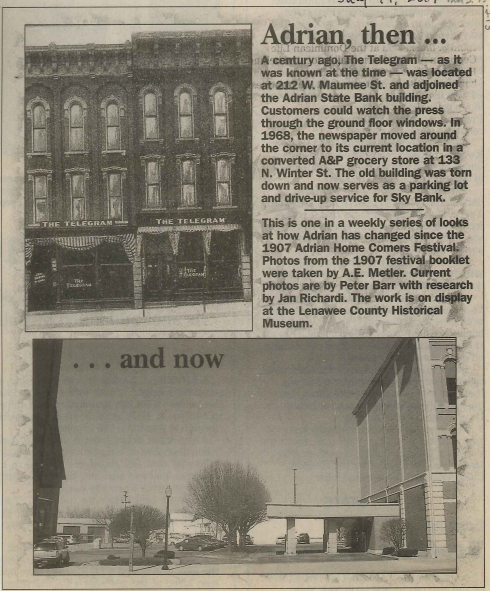 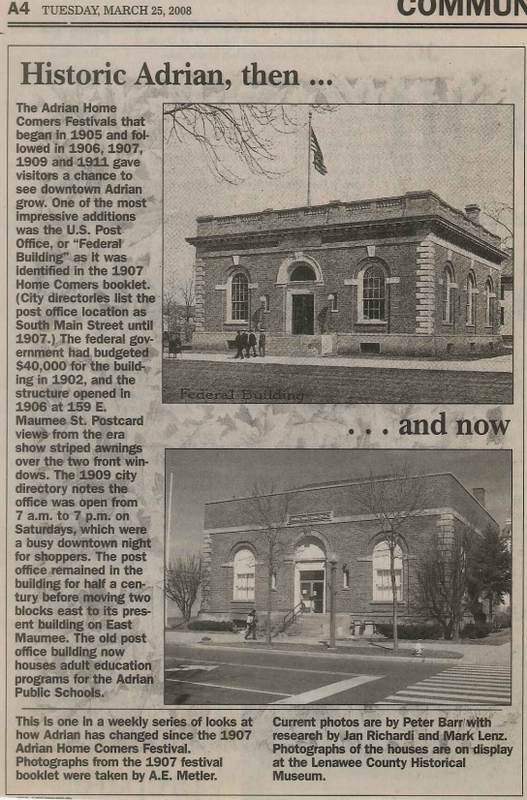 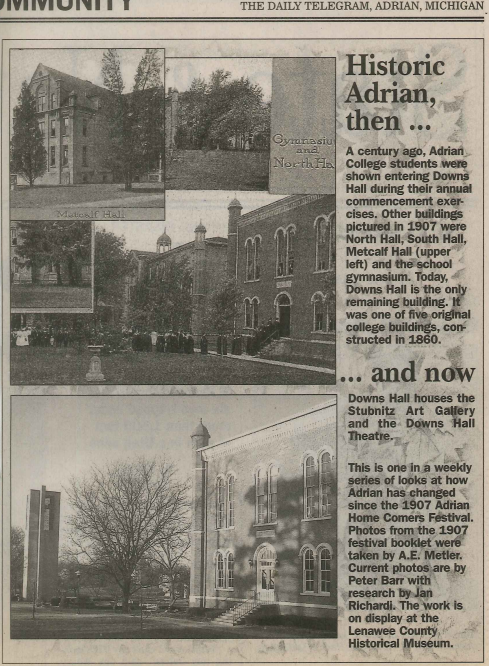 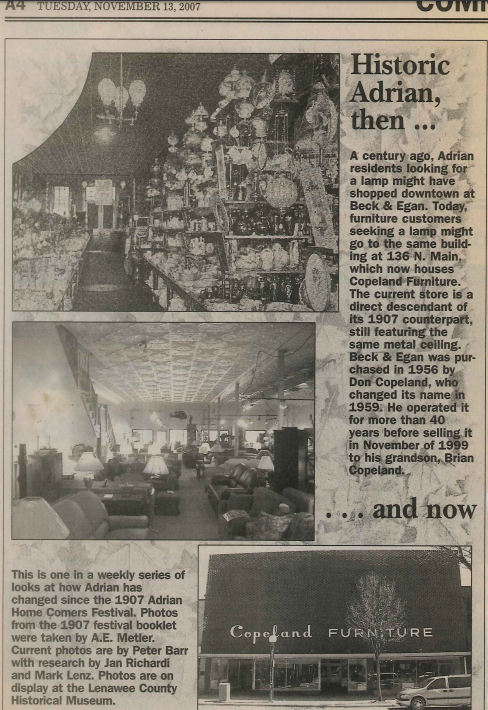 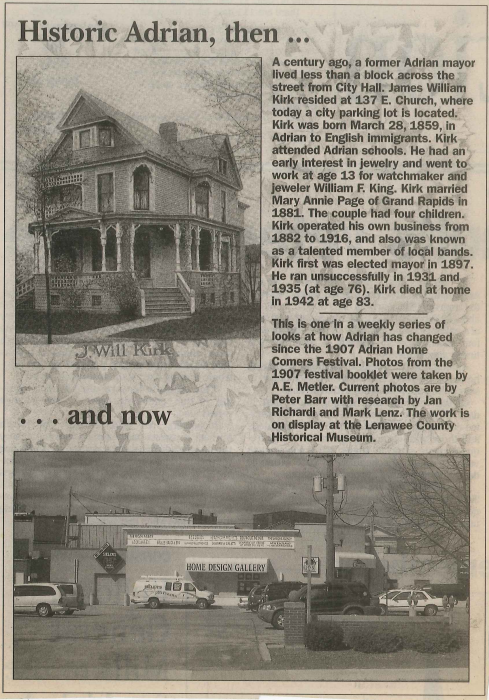 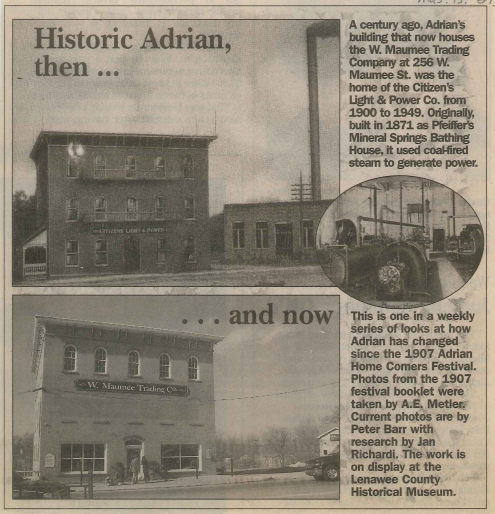 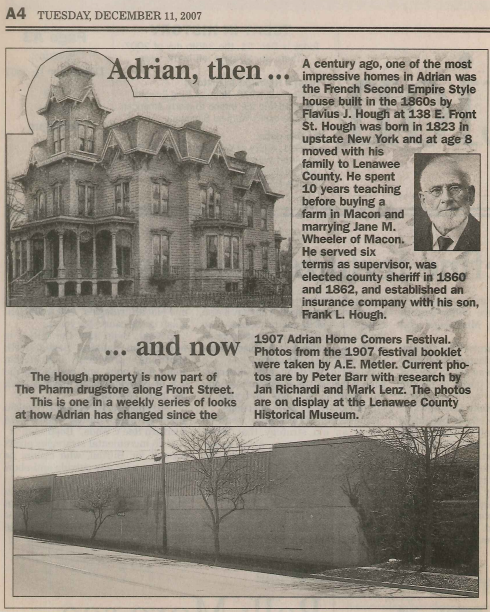 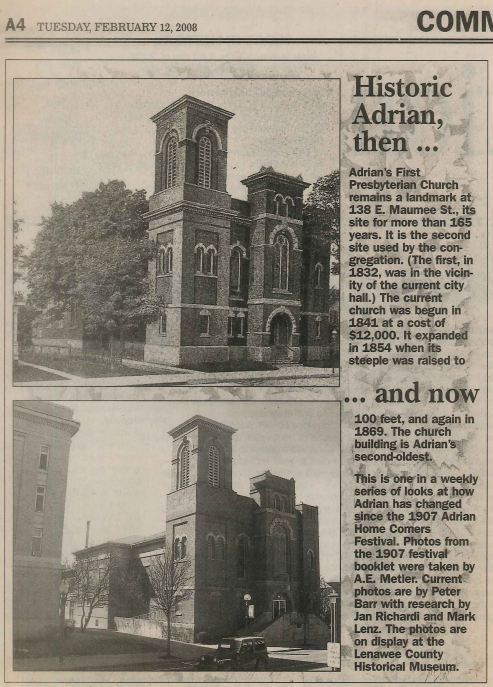 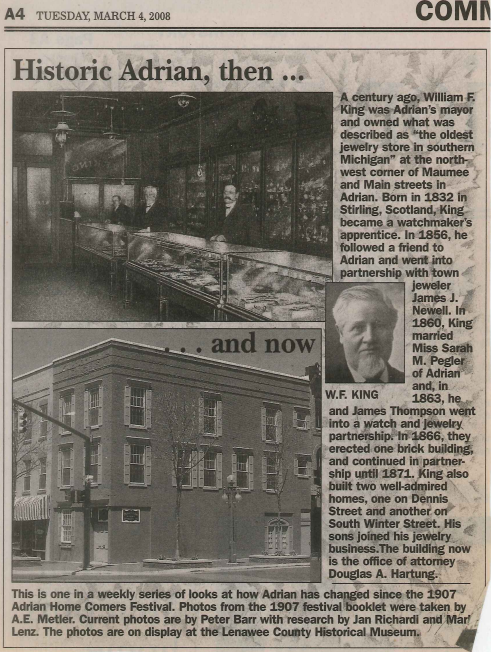 These newspaper clippings from the Adrian Daily Telegraph feature then-and-now photography from 1907 by Adrian photographer A. E. Mettler and from 2007 by Peter Barr. 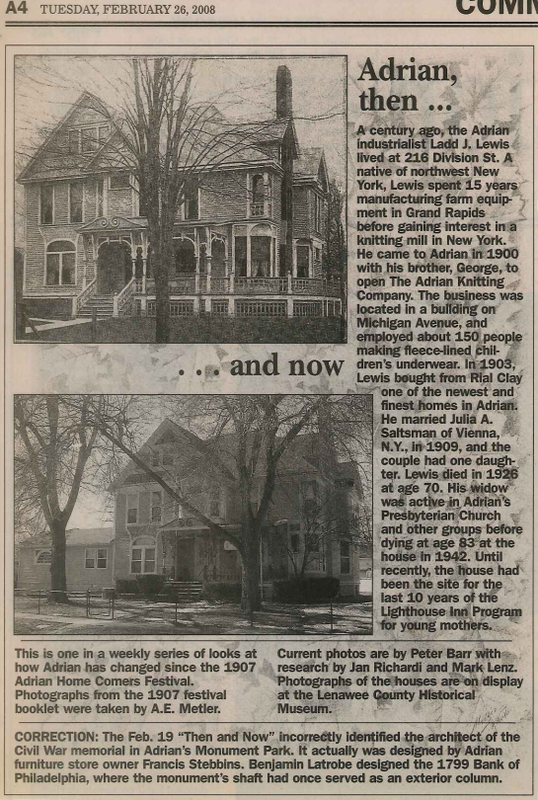 The text was written by Mark Lenz with research by Jan Richardi. 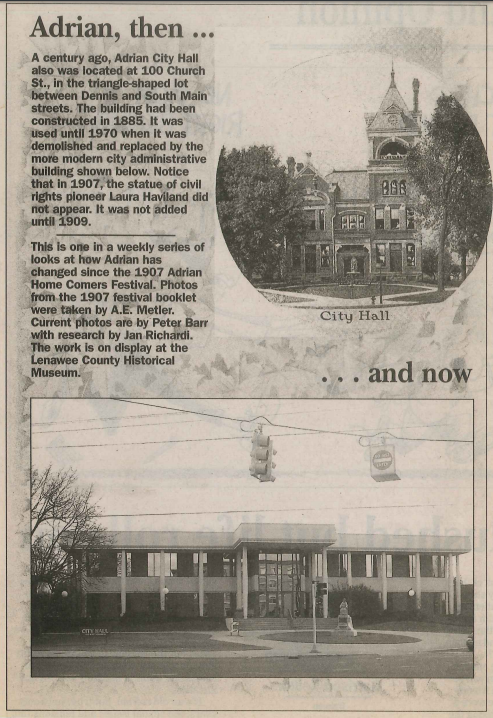 The entire project is on display in the basement of the Lenawee County Historical Museum.